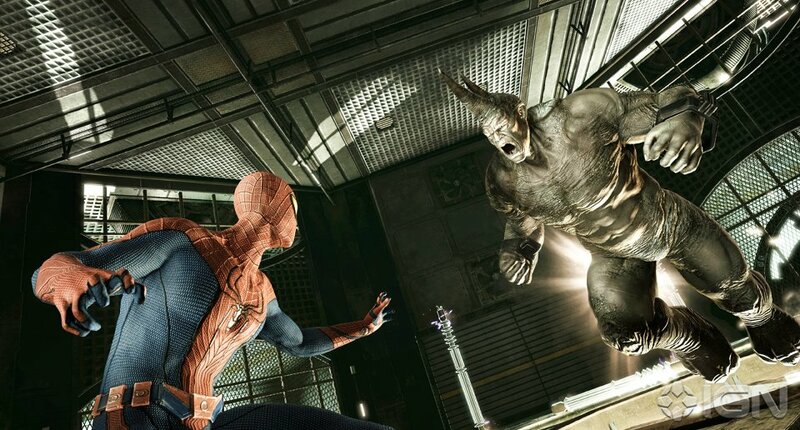 Here's the new "Rhino Reveal" trailer for THE AMAZING SPIDER-MAN video game, available this summer for XBox 360, PS3, Wii, DS and 3DS. The Amazing Spider-Man video game, which is planned to be launched summer 2012 tied to Sony Picture Entertainment's upcoming feature film of the same name. Created as an epilogue story occurring entirely after the events of the movie, the game features the return of free-roaming web-slinging all over the city and evolutionary improvements to navigation and combat, as the newly anointed Spider-Man is plunged into an all-new storyline charged with protecting Manhattan from a variety of criminals. In the works at Beenox, The Amazing Spider-Man features an original narrative crafted by Hollywood writer Seamus Kevin Fahey (episodes of Spartacus: Gods of the Arena and the re-imagined Battlestar Galactica) that continues young Peter Parker's adventures following the events of the new film.